There was insufficient evidence to support a Level I recommendation for this topic. Bifrontal decompressive craniectomy (DC) is not recommended to improve outcomes as measured by the Glasgow Outcome Scale–Extended (GOS-E) score at 6 months post-injury in severe traumatic brain injury (TBI) patients with diffuse injury (without mass lesions), and with intracranial pressure (ICP) elevation to values >20 mm Hg for more than 15 minutes within a 1-hour period that are refractory to first-tier therapies. However, this procedure has been demonstrated to reduce ICP and to minimize days in the intensive care unit (ICU). A large frontotemporoparietal DC (not less than 12 x 15 cm or 15 cm diameter) is recommended over a small frontotemporoparietal DC for reduced mortality and improved neurologic outcomes in patients with severe TBI. There was insufficient evidence to support a Level I or II A recommendation for this topic. Early (within 2.5 hours), short-term (48 hours post-injury) prophylactic hypothermia is not recommended to improve outcomes in patients with diffuse injury. Although hyperosmolar therapy may lower intracranial pressure, there was insufficient evidence about effects on clinical outcomes to support a specific recommendation, or to support use of any specific hyperosmolar agent, for patients with severe traumatic brain injury. There was insufficient evidence to support a Level I or II recommendation for this topic. An external ventricular drainage (EVD) system zeroed at the midbrain with continuous drainage of cerebrospinal fluid (CSF) may be considered to lower ICP burden more effectively than intermittent use. Use of CSF drainage to lower ICP in patients with an initial Glasgow Coma Scale (GCS) <6 during the first 12 hours after injury may be considered. Prolonged prophylactic hyperventilation with partial pressure of carbon dioxide in arterial blood (PaCO2) of 25 mm Hg or less is not recommended. There was insufficient evidence to support a Level I or Level IIA recommendation for this topic. Administration of barbiturates to induce burst suppression measured by electroencephalogram (EEG) as prophylaxis against the development of intracranial hypertension is not recommended. High-dose barbiturate administration is recommended to control elevated ICP refractory to maximum standard medical and surgical treatment. Hemodynamic stability is essential before and during barbiturate therapy. Although propofol is recommended for the control of ICP, it is not recommended for improvement in mortality or 6-month outcomes. Caution is required as high-dose propofol can produce significant morbidity (U.S. Food and Drug Administration, 2008; Kang, 2002). The use of steroids is not recommended for improving outcome or reducing ICP. In patients with severe TBI, high-dose methylprednisolone was associated with increased mortality and is contraindicated. Feeding patients to attain basal caloric replacement at least by the fifth day and, at most, by the seventh day post-injury is recommended to decrease mortality. Transgastric jejunal feeding is recommended to reduce the incidence of ventilator-associated pneumonia. Early tracheostomy is recommended to reduce mechanical ventilation days when the overall benefit is felt to outweigh the complications associated with such a procedure. However, there is no evidence that early tracheostomy reduces mortality or the rate of nosocomial pneumonia. The use of povidone-iodine (PI) oral care is not recommended to reduce ventilator-associated pneumonia and may cause an increased risk of acute respiratory distress syndrome. Antimicrobial-impregnated catheters may be considered to prevent catheter-related infections during EVD. There was insufficient evidence to support a Level I or II recommendation for treatment of deep vein thrombosis (DVT) in severe TBI patients. Low molecular weight heparin (LMWH) or low-dose unfractionated heparin may be used in combination with mechanical prophylaxis. However, there is an increased risk for expansion of intracranial hemorrhage. In addition to compression stockings, pharmacologic prophylaxis may be considered if the brain injury is stable and the benefit is considered to outweigh the risk of increased intracranial hemorrhage. There is insufficient evidence to support recommendations regarding the preferred agent, dose, or timing of pharmacologic prophylaxis for deep vein thrombosis. Prophylactic use of phenytoin or valproate is not recommended for preventing late post-traumatic seizures (PTS). Phenytoin is recommended to decrease the incidence of early PTS (within 7 days of injury), when the overall benefit is felt to outweigh the complications associated with such treatment. However, early PTS have not been associated with worse outcomes. At the present time there is insufficient evidence to recommend levetiracetam over phenytoin regarding efficacy in preventing early post-traumatic seizures and toxicity. Management of severe TBI patients using information from ICP monitoring is recommended to reduce in-hospital and 2-week post-injury mortality. 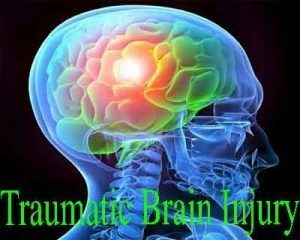 Management of severe TBI patients using guidelines-based recommendations for cerebral perfusion pressure (CPP) monitoring is recommended to decrease 2-week mortality. Jugular bulb monitoring of arteriovenous oxygen content difference (AVDO2), as a source of information for management decisions, may be considered to reduce mortality and improve outcomes at 3 and 6 months post-injury. Maintaining systolic blood pressure (SBP) at ≥100 mm Hg for patients 50 to 69 years old or at ≥110 mm Hg or above for patients 15 to 49 or over 70 years old may be considered to decrease mortality and improve outcomes. Treating ICP above 22 mm Hg is recommended because values above this level are associated with increased mortality. A combination of ICP values and clinical and brain computed tomography (CT) findings may be used to make management decisions. The recommended target cerebral perfusion pressure (CPP) value for survival and favorable outcomes is between 60 and 70 mm Hg. Whether 60 or 70 mm Hg is the minimum optimal CPP threshold is unclear and may depend upon the patient’s autoregulatory status. Avoiding aggressive attempts to maintain CPP above 70 mm Hg with fluids and pressors may be considered because of the risk of adult respiratory failure. Jugular venous saturation of <50% may be a threshold to avoid in order to reduce mortality and improve outcomes.